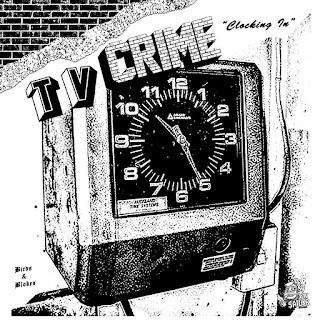 This Noise Is Ours: TV Crime - Clocking In/Clocking Out 7"
Got a night of beer/record consuming ahead of me tonight with a mate so wanted to get something written up before it's too late. 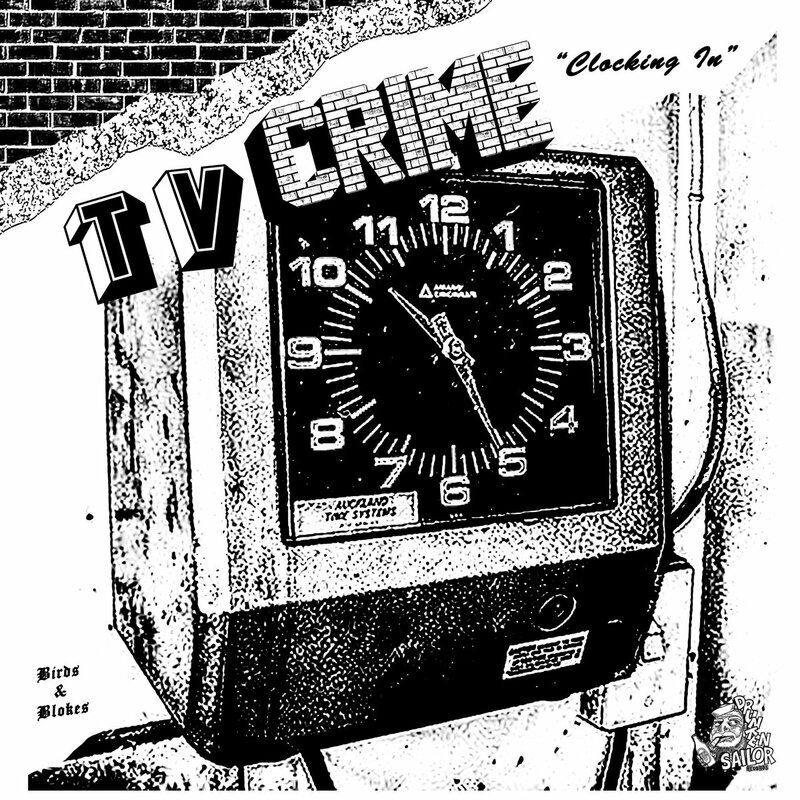 That something is Nottingham punk-by-way-of-every-other-genre band TV Crime and their latest 7" "Clocking In/Clocking Out". It's only their second release to date and came out in July via Drunken Sailor Records. This'll probably make me want to re-subscribe to Maximum Rock 'n' Roll! This is a dead simple double a-side 7”. Clocking In is a rocking garage-punk song, with 70s inspired melodies and a hint of greasiness. The song is really up-tempo and crisp sounding with clean vocals. Clocking Out is even more catchy and well-written. Gloriously nostalgic with guitar work to match. TV Crime ain’t following any modern musical fads or anything, they’re just playing punk rock with hooks for days. The 7” is over all too quickly but as it’s so infectious, you’ll be repeating it over and over again. No sign yet of a full-length from TV Crime, but I hope they don’t wait too long as there’s only so long people can contain themselves for.